It is no secret that I am BIG on baby products for personal use. I have such sensitive skin that I find I am better suited using these products on a regular basis. After my best friend recommended this particular body lotion I went and took a look at the baby section to see what other new items had come out that I was not aware of. That is where I found Cetaphil baby Ultra Moisturizing Wash. I have been a fan of Cetaphil for many, many years. I use their bar soap every day for my sensitive acne prone skin. I didn't think twice and snatched this bottle up right away. The scent if heavenly. It's that unique baby scent that we all know and love. It lingers lightly on the skin all day. The formula is made with calming organic calendula, is paraben, colorant, and mineral oil free. It is hypoallergenic and dermatologist tested. All of which should be important for you whether you have a baby or have crazy sensitive skin like I do. It rinses clean and leaves my skin extremely moisturized until the next. My bottle is nearing its end but I already have plans to scoop up another this week. I love "grown up" Cetaphil, but I'd never considered trying the baby version. My sensitive skin would probably love it. Thanks for sharing! Me too! I have been using the Cetaphil bar on my face since highschool. Husband now uses it too. This is so helpful. 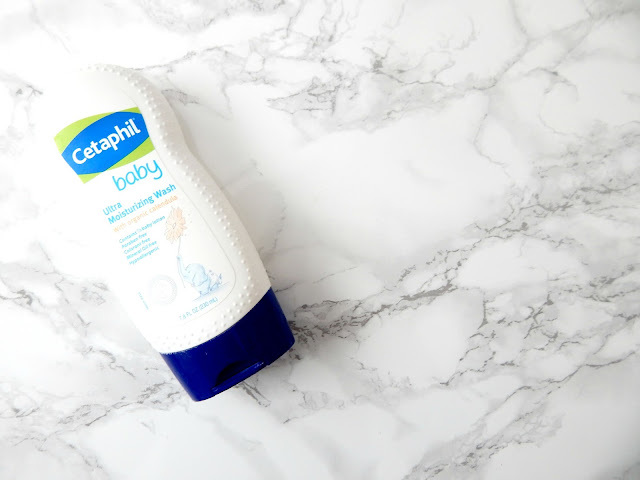 I love Cetaphil, but didn't know they have baby products! I'll have to give this a try. Yes! I can't wait to try out some of the other items in their baby range. I love Cetaphil but I didn't know they had a line for babies. I'll have to let my sister know. I guess they didn't make a big push on publicity? That or maybe we didn't know because we don't have babies? I agree baby products are gentle enough for a newborn so why not for adult skin! They usually have less junk in them too. Absolutely! My skin takes much better to these products.